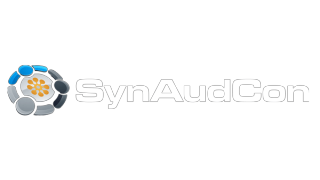 SynAudCon will host a special event, “ECS: Design and Deployment” in the Washington, DC area on November 9-12 at the Holiday Inn in historic Old Town Alexandria. This four-day event is divided into two independent sub-events: ECS Design and ECS Deployment. With the recent changes in NFPA72, the house sound system can now be used for emergency announcements. The event is intended to instruct audio professionals and engineers from multiple industries on the design and deployment of ECS via house sound systems in accordance with NFPA72. ECS part one, Design, starts on November 9 and concludes on November 10. This portion of the seminar will focus on sound system design and speech reinforcement. It will focus on achieving intelligible speech in the presence of noise and reverberation through proper loudspeaker selection and placement. ECS part two, Deployment, begins on November 11 and concludes November 12. ECS part two discusses recent changes and refinements of NFPA72 and general NFPA guidelines. Topics discussed are understanding the code, system integration, and system testing. Guest speakers for this event include many notable industry professionals including Pat Brown, Wayne Moore, Larry Reitz, and Sander van Wijngaarden. Online registration is open and seating is limited. Interested individuals are encouraged to visit the ECS Event page online to reserve seats.